My usual haunt for sourcing quality WordPress themes is Theme Forest, one of the fabulous resources available from Envato, this is my default go-to site when looking to customise a theme for a client. 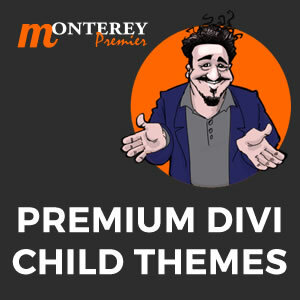 But in December 2013 Nick Roach and the talented guys at Elegant Themes released their latest WordPress theme, Divi. Little did we ET customers know we were about to be spoiled forever….let me explain. We were pretty busy at Wicked Website Designs the first quarter of 2014 so it wasn’t until March that I was commissioned to create a site that was ideal to put Divi through its paces. Having been an Elegant Themes customer since 2010 and very familiar with their excellent theme quality and support, Divi is the product of 12 months of hard work and vision to create the ultimate WordPress theme with endless possibilities for layouts and styling. One of my favourite features is the Parallax effect on images. I’m a big fan of creating interesting and engaging ways to interact with customers and had a ball working on Alison Monaghan’s health and wellness website HappiSoul.com. Incorporating the round Mandala logo throughout the site meant we opted to use the background parallax feature using 3 colours to create to scrolling and flow-over text effect. Next I convinced Gerry O’Neil to let me overhaul his website from the theme we’d installed in 2012 and showcase his musical talents using the new Divi slider and galleries. With a ton of pre-made templates in the Page Builder, so you can easily create basic layouts and just edit to suit your content. I immediately knew Wendy Kerr’s Corporate Crossovers website makeover would also be perfect using Divi to showcase her podcasts using the Audio module. With WooCommerce integration as standard we recently put Divi through it’s paces as an ecommerce solution on Camper Essentials. The ePanel features a custom CSS section where you can easily modify almost any element of your Divi site, or if CSS is a foreign language to you check out CSS Hero plugin, an intuitive WordPress plugin to simplify the customisation process. 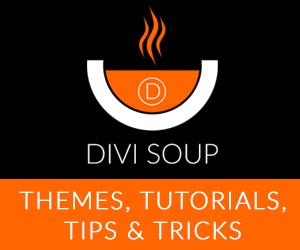 As a bonus, if you are an Elegant Themes customer and are using Divi, I recommend you head over to Facebook and join the single most useful and helpful Private Group I have the pleasure of being a part of: Divi Theme Help & Share. Created by the awesome SJ James and a bunch of web developer/designer admins, this group features some excellent tips and CSS tricks, freely shared by active members and users of this incredible theme.